Not bad - I wouldn't mind seeing the center lines being part of a bonus, as well. 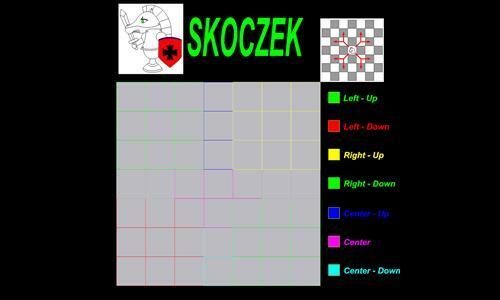 There are at least two other knight-based chess maps already, as well. Review by okasan on 5/17/2014. For the chess players among the community: great fun once you get your mind around it. Only knight moves are allowed. Small map means first to a bonus probably will win. Something different, and cleverly executed.